Have you ever met someone that speaks your language? No, I’m not talking English, French, or (to speak of my suffering initiative at learning a second language) Spanglish. I’m talking your heart language. Someone who gets stuff the way you do. When my friend Lauren texts me a picture of the Kate Spade “Eat Cake For Breakfast” bag or says “OMG, me too!” for the millionth time in our conversation, it’s because she speaks my language. Or when my friend Kate posts this video of cats trotting on a treadmill to my Facebook wall for the millionth time… I’m sorry, but that mess gets me every time. Or when I tear up a bit during deep conversation with my mom because she’s somehow managed to put words to feelings I’m experiencing and it’s like I’m being realized for the first time… she’s speaking my language. What I mean is that sometimes a person’s passions, thoughts, and joys align perfectly with your own, and when it happens, it’s an incredible sense of relief/satisfaction because you realize that you’re not alone, that someone sees you, and that there’s someone who identifies with who you are. If you haven’t experienced this yet, you will. Give it time. And if you have, you know exactly what I mean. This is how I often feel about my friend Rayne. She’s newer on the lineup of people I would categorize as “Best,” but she’s essential in that I think she gets it. Rayne can speak almost every dialect of my heart language fluently and does so with seemingly little effort. This girl loves well, is tremendously thoughtful, and has helped grow in me a spiritual strength, resilience, and faithfulness just by living it out in her own life. She lives in the proverbial presidential suite of my heart and if you knew her, you’d know she wouldn’t accept anything less. Really, she’s just the best. My prayer for you today is that you all would have a showering (excuse the pun) of Raynes in your life- if not today, someday soon. That there would be a life on this earth that you find so beautiful, rare, and exciting that you can’t help but love and celebrate them to the fullest measure. I think we all need a person that brings us that much joy, so my hope for you is that you’ll find yours. One thing that Rayne and I don’t see eye to eye on is upside down cake. I don’t always get it but she lovvees it. A few months ago, she was trying to convince me that pineapple upside down cake was an underrated, top 5 dessert, and honestly, I think I tuned her out because ew. Just ew. Never one to turn down a challenge though, I started researching upside down cakes and finished my investigation rather surprised at the delicious outcomes. First, a letter. For you, for your heart friend, for whoever. Download this free letter template and write to someone who speaks your language. Tell them you see them and that they mean something to you. And tell them why. It feels good to receive gratitude and it feels even better to give it. So make it rain (Rayne?) some love on someone today. 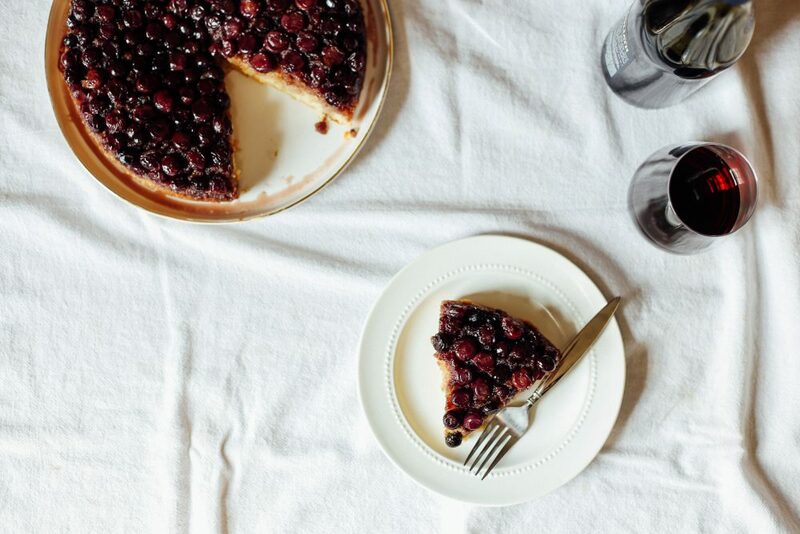 Second, a recipe for this concord grape upside down cake. 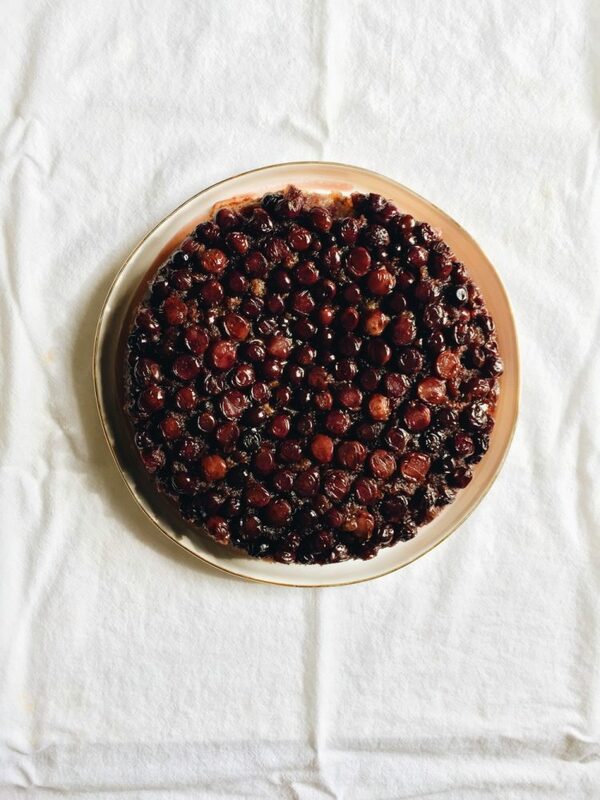 If you’ve never roasted grapes, that in and of itself is worth it because the change in flavor is extraordinary. 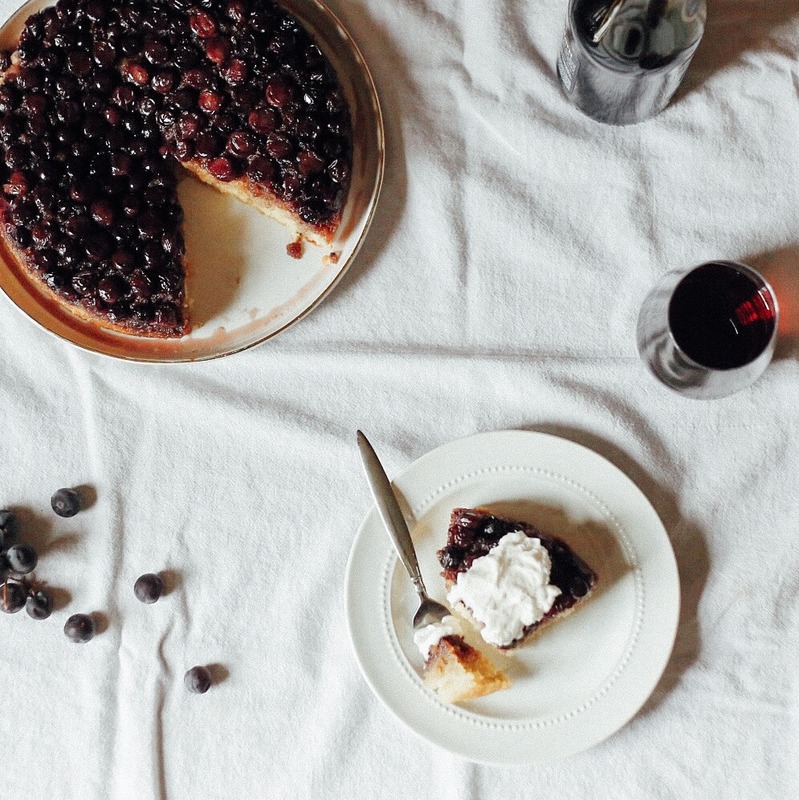 This is a messy cake and it’s not much to look at but it pairs beautifully with cheese and wine so there’s that at least. Similar to my favorite Kate Spade bag, I absolutely adore eating this at breakfast, because cake without frosting usually just reads “BREAKFAST” to me. Whenever you eat it, definitely share a slice with your friend and let them know they’re worth making weird fruity cakes for. I’d love to hear how you celebrate the people you love. 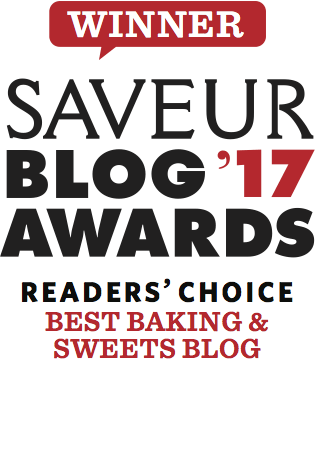 If you have any ideas, or recipes you like the share with your favorites, please tell me about them in an email or the comments section below. Happy Tuesday and cheers to you! Click here to view the free downloadable letter template! 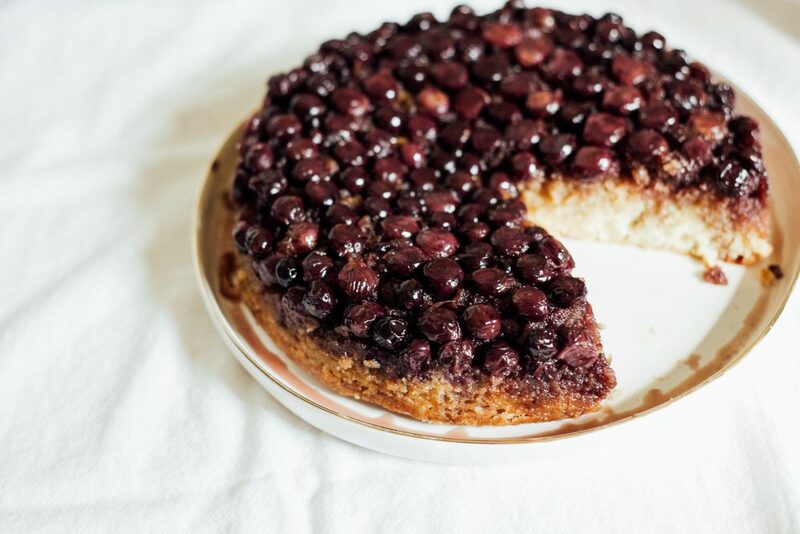 This sweet concord grape upside down cake made with a warm, honey caramel and sweet roasted fruit is delicious, rustic option for breakfast, dessert, and everything in between. Stir 6 tablespoons butter, brown sugar and honey in heavy medium skillet over low heat until butter melts and sugar and honey blend in, forming thick, smooth sauce. Transfer to 9-inch-diameter cake pan with 2-inch-high sides. Mix flour, baking powder, cinnamon and salt in medium bowl. Using electric mixer, beat remaining 6 tablespoons butter in large bowl until light. Add eggs and beat until light and fluffy. Beat in extracts. Add dry ingredients alternately with milk, mixing just until blended. Spoon batter evenly over plums. Bake cake until golden and tester inserted into center of cake comes out clean, about 1 hour 5 minutes. Transfer to rack; cool in pan 30 minutes. Serve cake warm with whipped cream. Be sure to purchase SEEDLESS concord grapes. This is one case where seeds simply will not do! Other varieties of grapes would lack the sweet, grape-like flavor we want in this cake so be sure you purchase the right kind. What a sweet post. 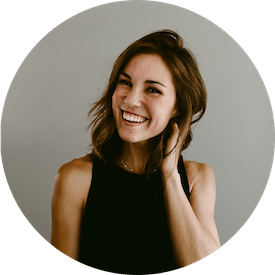 I recently started reading your blog and love it! Can’t wait to try some of your recipes! I’m so excited to hear that! I hope you get to baking soon! Thanks for dropping a line!